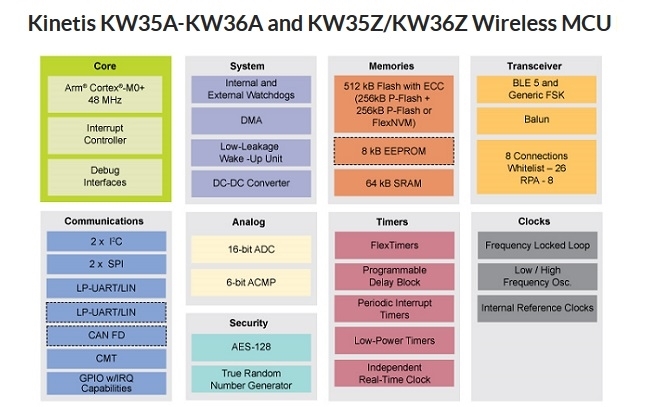 NXP Semiconductors has introduced the Kinetis KW35/36 MCU family, the first Bluetooth 5.0 wireless MCU family that is qualified for automotive applications. The AEC Q100-Grade 2 temperature range qualification paired with the latest Bluetooth technology enables this new MCU family to offer superior durability and performance in automotive applications. The Kinetis KW35/36 Bluetooth technology is designed to simplify integration of Bluetooth connectivity in cars, enabling automotive manufacturers to deliver added convenience for consumers to control many features using their smartphones, for example unlocking a car, remotely sharing keys with a friend or relative, personalizing seat positions as well as temperature and infotainment settings and controlling interior and/or exterior lighting. As a market leader in automotive and security solutions, the new Kinetis KW35/36 wireless MCU family complements the company's automotive secure access portfolio as it can be used to add a smartphone car access option next to the current passive entry and start system. Emerging BLE smartphone car access systems typically come with an NFC backup option to cover low battery situations. The MCU's Bluetooth connectivity can also be used to communicate car diagnostics such as tire pressure monitoring systems (TPMS) as well as battery and fuel levels. 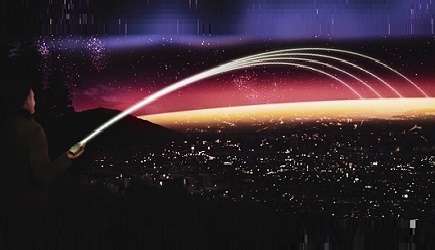 Eight concurrent secure connections for multiple authorized users. Hardware and software features for smartphone-to-car connectivity. The new Kinetis KW35/KW36 MCU family is sampling now and will be available in volume production in Q2 2018. Click here for more information.